I’ve done it! I’ve found the most beautiful restaurant in the world! 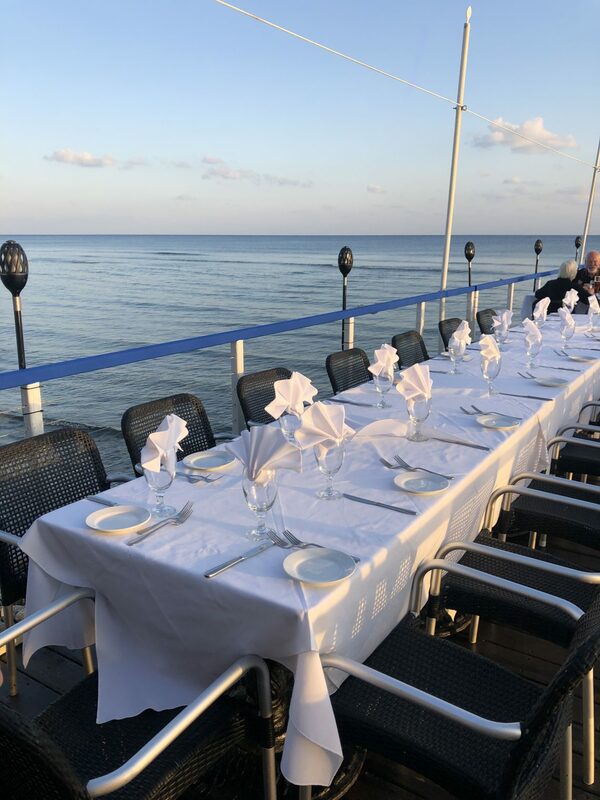 Well, that might be a slight exaggeration, but The Lighthouse Restaurant on Grand Cayman island is one of the most incredible places I’ve ever had the chance to dine. 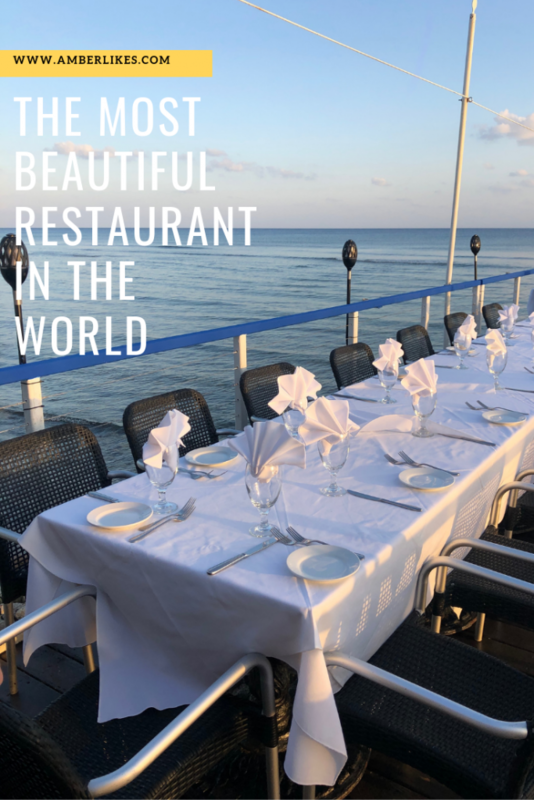 I’ve already shared some of my highlights of our incredible trip to the Caymans in a previous post, but this restaurant deserved a spotlight of it’s own! If you are planning a trip to the Caymans, you absolutely must visit The Lighthouse Restaurant. Did you know that the Cayman Islands are known as the Kid’s Culinary Capital of the Caribbean? After visiting the islands and particularly The Lighthouse Restaurant, I can certainly understand how they earned this title. The Lighthouse Restaurant is located on the East End/Bodden Town, which is about 30 minutes from the airport. The outside of the restaurant is easy to recognize with the noticeable lighthouse facade. Inside the restaurant, there is a welcoming lounge and gift shop. The inside of The Lighthouse Restaurant is charming and comfortable, but the real magic is on the deck outside. As we walked to our large table on the dock, we were completely awestruck! 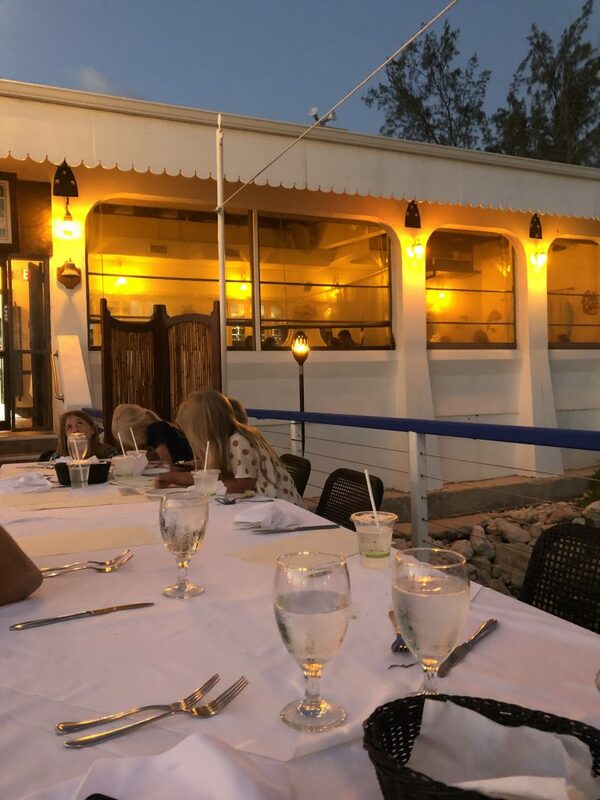 The table is located directly over water, with the perfect lighting and a beautiful table setting. 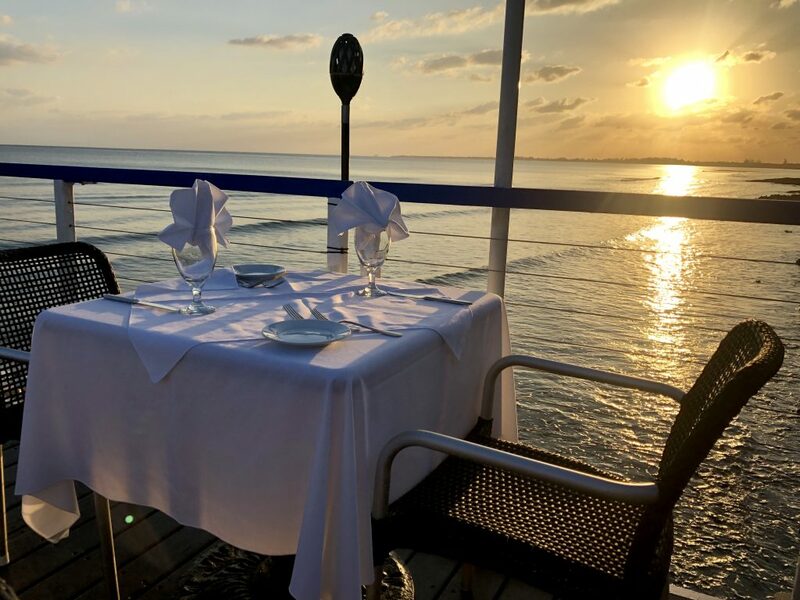 If you time your meal right, you can watch the incredible Cayman sunset while enjoying a delicious meal. The menu at The Lighthouse includes a combination of Italian and Seafood specialties. When I hear Italian, I generally think of your typical pasta dishes and garlic bread. At The Lighthouse Restaurant, prepare to have your preconceived notions about Italian fare challenged! You will find many unique options for Italian inspired fare or seafood dinners. 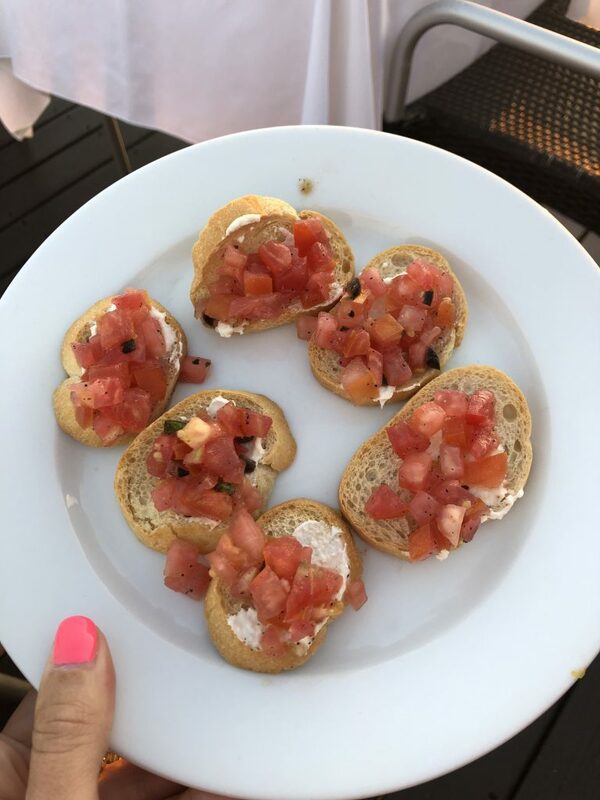 For appetizers, we enjoyed the Bread Basket and the Burrata Caprese. Both were absolutely delicious! For my meal, I had the most incredible 4 Cheese and Pear Pasta Pockets without the seafood that is usually served with this dish. It was covered in marinara sauce and it was my favorite meal in all of the Caymans! These little hand rolled pieces of pasta melted in my mouth, and although I offered for my family to try a bite of my meal, I finished it before I actually let that happen! This meal was one of the most incredible I’ve had in a long time. I would fly back to the Cayman Islands just to enjoy this again! At our table, we also had several seafood dishes, pizzas, and even sushi! We had a large group at dinner, and each person raved about their food. The menu includes such a large variety, there’s something that will suit everyone in your party. The Lighthouse Restaurant also has a wonderful kid’s menu and treats children like honored little guests. 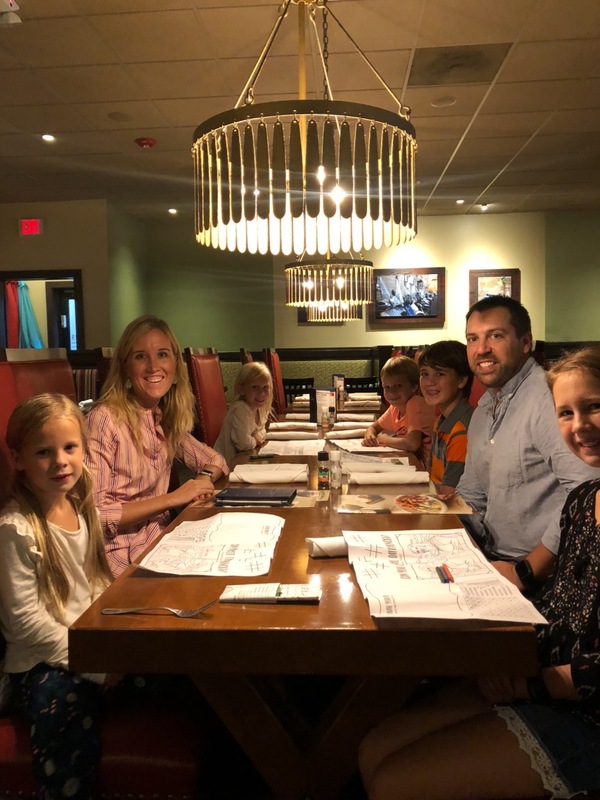 In the evening, I would definitely consider this restaurant “dressy casual.” Sometimes, for settings like this, you may get the feeling that your children aren’t really welcome. This is not the case at The Lighthouse Restaurant in Grand Cayman. When you walk in the door, you will see a wall dedicated to the young artists that make their creations on the back of menus during their meal. In fact, The Lighthouse Restaurant had one of the sweetest and most child friendly gestures I’ve ever seen. Pint sized diners have created the cover art for the dessert menu! That gesture made this Mama’s heart melt! Now you can understand that title of “Kids Culinary Capital of the Caribbean” a little more! When you finish your amazing meal at The Lighthouse Restaurant, try your best to save room for dessert! 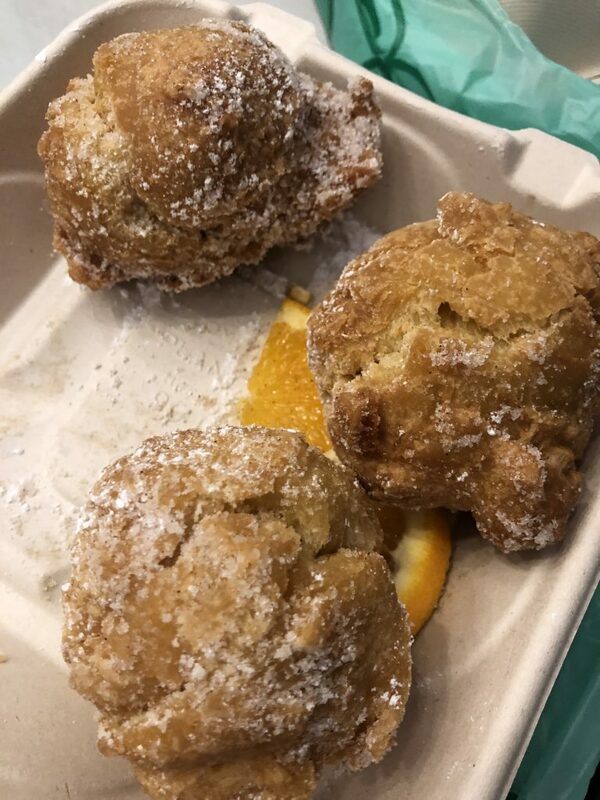 We actually ordered some desserts to go, and the signature beignets were absolutely amazing. We even enjoyed some of them for breakfast the next day! 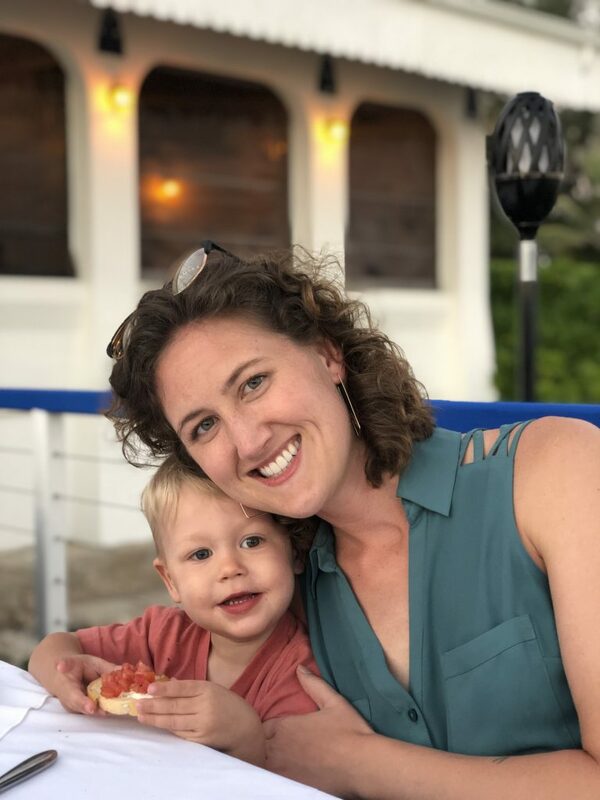 It was such a happy ending to our trip to the Cayman Islands to be able to enjoy the creations of The Lighthouse Restaurant on our very last morning on the island. Our dining experience at The Lighthouse Restaurant was one of the most amazing of my life. 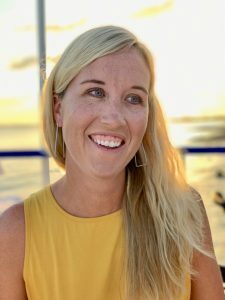 If I haven’t convinced you to go to the Cayman Islands based on the turquoise water, the incredible experiences, or the welcoming people, surely you are now convinced by the delicious dining that awaits. 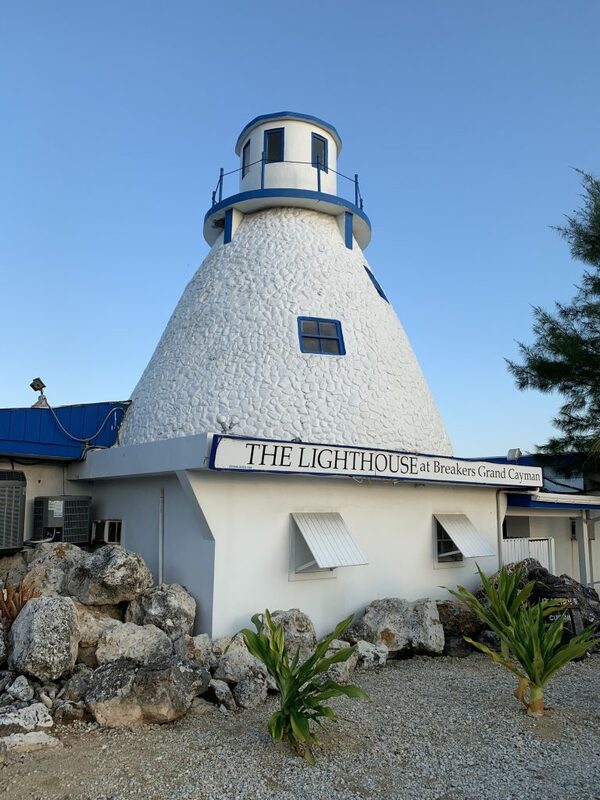 When you visit Grand Cayman, take the time to visit The Lighthouse Restaurant. And tell them hello for me! *We were provided with a complimentary dining experience in exchange for my honest and unbiased review. All opinions are my own. Lightning McQueen's Racing Academy: Tips from a Disney Insider! T-Rex Cafe at Disney Springs: Where You Can Dine with the Dinosaurs!